One of the symbols of the Hungarian capital city, the biggest building in Hungary and the second-biggest parliament in Europe after Romania’s – this is the Hungarian Parliament Building. 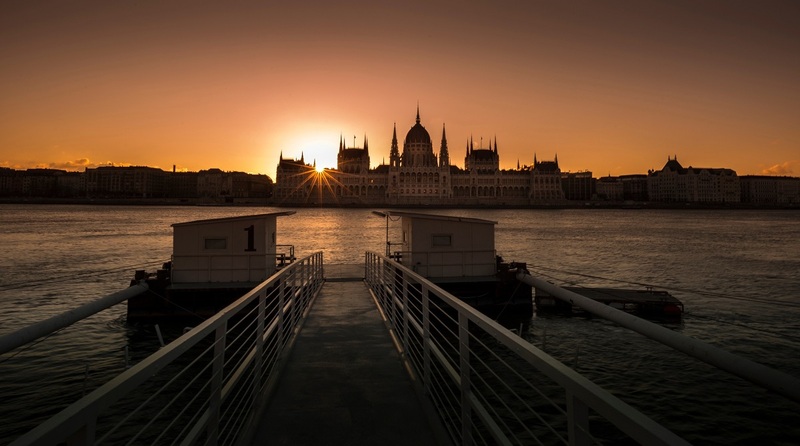 Here are 10 fun facts about the Hungarian Parliament that will make your visit more interesting. #1 The Neo-Gothic construction, built between 1884 and 1904, is composed of 691 rooms. #2 It is 268 m long, 118 m high, while its dome is at the impressive height of 96 m. This is not just by chance – 1,000 years since the arrival of the Magyars in these lands were marked in 1896 and that is why the number 96 plays an important role in the Hungarian architecture. #3 The total length of the stairs in the building reaches around 20 km (12.5 mi). #4 The Hungarian Parliament has 365 towers, each for every day of the year. #5 Its design was inspired by the Parliament in London. #6 The building stretches between Margaret Bridge and Chain Bridge, at the Lajos Kossuth Square, situated on the banks of the Danube River, thus meeting two major historical requirements – on the one hand, the Parliament should oppose the building of the Royal Palace, while on the other – it should also stress Danube River’s importance for the city. #7 The entrance to the building is on the side of the square, it is also open for tourists but you can visit it only with a guide. Information about how to book a tour you can find here. #8 Parliament’s Congress Hall shelters the painting of the most prominent Hungarian painter of his time – Mihály Munkácsy, which depicts the conquering of the lands inhabited by the Hungarians nowadays. Paintings by Károly Lotz and sculptures by György Kiss adorn the walls of the main staircase. There are a total of 242 sculptures on the inside and outside walls of the Parliament. #9 At the building of the Parliament you can also see Hungarian regalia. Since 2000, the royal apple, sword, scepter and crown of Stephen I of Hungary are exposed there so everyone can admire them. #10 The Hungarian Parliament Building is made of very soft limestone, which is easily destroyed, and that is why there are almost constantly repair works underway.